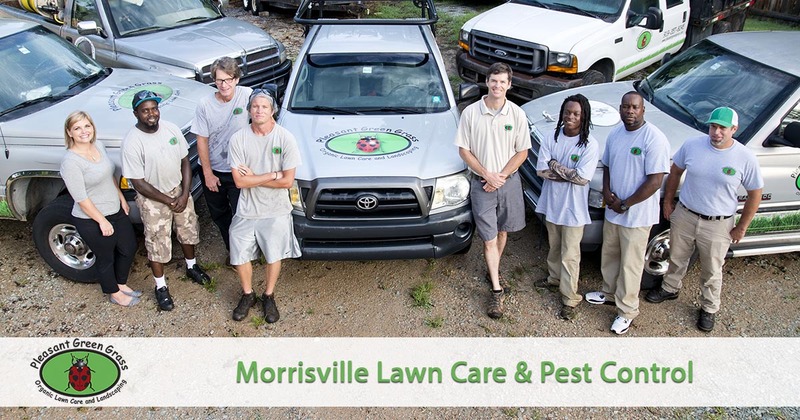 If you are looking for effective lawn care and pest control services in the Morrisville, NC area that are safe for your family and pets, then look no further. Pleasant Green Grass offers organic lawn fertilization and pest control services that are safe for your family and pets. Living in Morrisville, NC means quaint historical living among national corporations and an active community. But one area that it still lacks in is quality lawn care services. Most companies offer quick solutions involving harsh landscaping chemicals. But while they achieve temporary results, you may wind up making your yard sick before too long. Instead, you can always depend on Pleasant Green Grass for natural yard care solutions. We still provide organic options that keep your grass green and free of pests. For the best in natural lawn care services, you can always depend on us. Call today for your best yard care options! Rather than coating your grass, flowers, and plants in toxic sprays, we care for your yard the way Mother Nature intended. Whether you need a better provider for monthly care options or just need to know your yards are in good hands, just leave it all to us! We offer quality lawn care and weed control, yard fertilization, core aeration, and more. We can even help make your yard renovation project run as smooth as possible! Call today for all your yard care needs. We offer the best in natural landscape solutions! Pest control services often rely on clouds of toxic fogs to get rid of bugs. But you may wind up killing more than just insects that way! No matter what pests are frequenting your yard, we have a natural solution for you. We have organic yard pest control methods for spiders, ticks, mosquitos, grubs, fleas, and more! Stop paying to poison your yard and let us help you the natural way. Call now for natural yard pest control services! The organic lawn fertilization and pest control services we offer in Morrisville, NC are healthier, safer, and more effective than traditional chemical applications that are harmful to people, pets and the environment. Give us a call today and experience the difference in working with a company that cares as much about the safety of the products we use as we do for our customers.